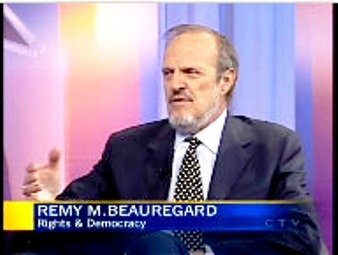 Mr. Rémy M. Beauregard - Rights & Democracy (Canada). A couple of weeks back I wrote a piece about the International Centre for Ethnic Studies, and its effort to set up Sri Lanka as a country that had to be ‘Protected’ by those who considered themselves wiser and better than us. I was questioned then about bringing up old matters and, though I believe that we need to learn from the past so as to save ourselves in the future, I did wonder whether I was being paranoid in fearing threats from that particular quarter. Still, with Bradman Weerakoon back openly at the helm of ICES, it did no harm to be careful. And then, just a week or so later, I was sent an account of a parliamentary committee in Canada that suggested constant vigilance was not just desirable, it was essential. 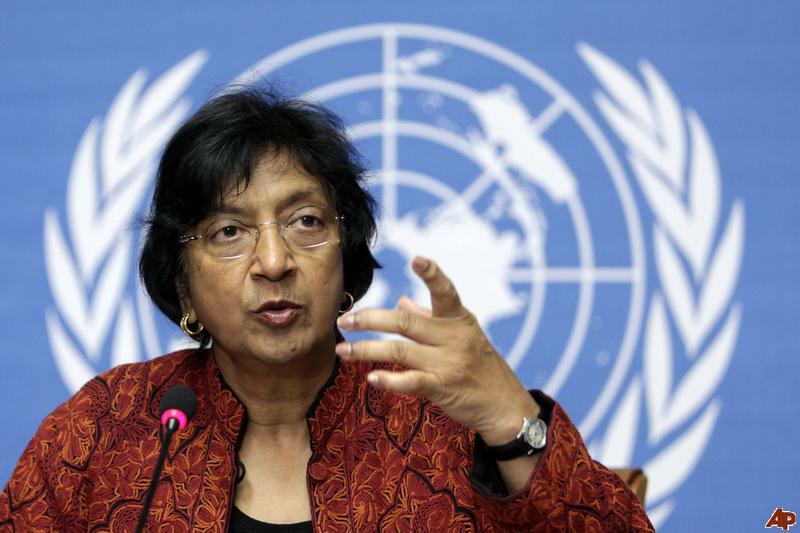 The report also suggested I had been right to see more behind Radhika’s plaintive cry that all was disaster when Sri Lanka, in accordance with Dayan Jayatilleke’s expert interactions with the bulk of the diplomatic community in Geneva, defeated wholesale the efforts of some Western countries to put us in the dock after our victory over terrorism. I should note that the Canadian Foreign Ministry does not seem to have done anything improper in this instance, except of course for standing together with some of its allies on the effort to blackguard us. However Mr Beauregard (who sadly died after a heart attack following a particularly contentious Board Meeting of Rights and Democracy) had obliged Prof Akhavan by writing to Navanethem Pillai, and copying the letter to the Canadian ambassador in Geneva, a debonair bow-tie sporting figure named Marius Grinius, as well as to the Ministry in Ottawa. Given that Ms Pillai would doubtless have thought he was writing officially, that he was writing as head of a Canadian government sponsored institution, and that that institution had obliged her with $824,000, her sense of obligation may have been stretched. This may help to explain her preposterous taped message to the session, and then her extraordinary lament afterwards, both seemingly encouraging a witch hunt against Sri Lanka, the latter of which rightly drew strong criticism from the Indian ambassador. Given all this, it would be useful for us, and for the Canadians too, to find out why Prof Akhavan thought it appropriate to use his official position to promote his appointment to a war crimes tribunal, and whether indeed it is appropriate for what is in effect a government body, though it is supposed to be independent, to have participated in the unseemly stampede last year to put Sri Lanka in the dock for war crimes. 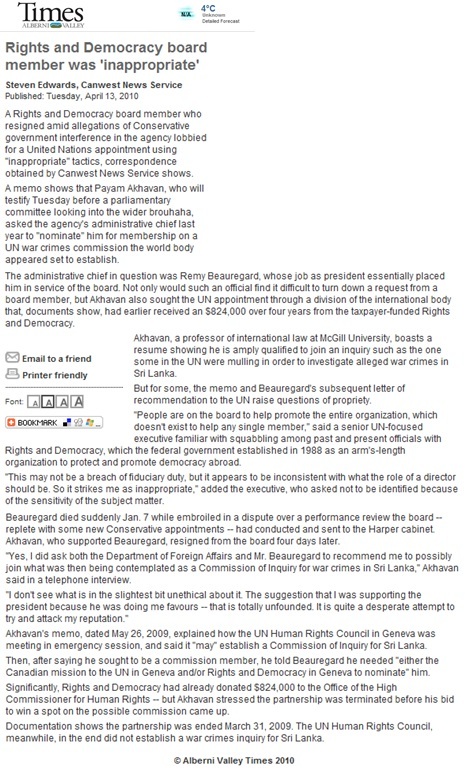 It would also be appropriate to find out from where Prof Akhavan derived his information. After all the prime movers behind the call for a special session, the British, have assured us that they were not pushing for a war crimes tribunal at all, and were merely concerned with the situation of the displaced. Much as I love the Actg British High Commissioner, I know this is not entirely true, given what his boss said in the House of Commons. Thus far however I have assumed that the Foreign Office was giving us the official position, and we could forgive Mr Miliband his little electoral flutters in the House of Commons. However, since now it seems that someone who was mandated by the Canadian government to protect and promote democracy abroad was promoting instead a war crimes tribunal on which he (or she) could serve, one wonders whether indeed even the Canadian government had promoted the special session for this purpose. I would certainly be disappointed, in human nature, to say nothing of bow ties, if Marius Grinius had been involved in such skullduggery, but of course we have to remember that the Canadian representative in Sri Lanka at the time was Angela Bogdan – and Angela Bogdan had been hand in glove with Rama Mani and seemed to see Radhika Coomaraswamy as a sort of mentor with regard to Sri Lanka. 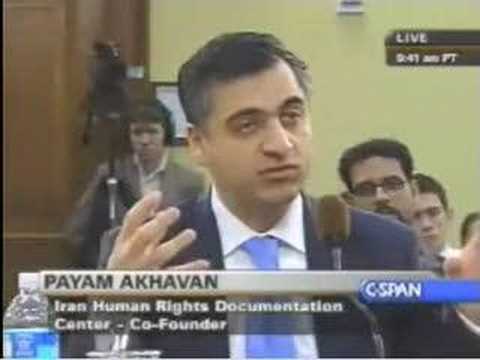 For it turns out that, apart from being on the board of Rights and Democracy, Prof Akhavan served on the McGill Centre for Human Rights & Legal Pluralism and was also a director of EQUITAS, the International Centre for Human Rights Education. 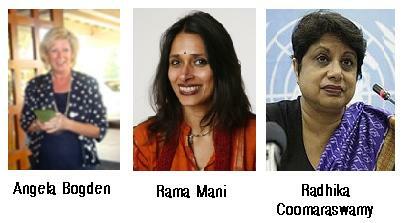 And this last body had, together with the International Centre for Ethnic Studies in Colombo, jointly undertaken a two-year project which ‘aims to strengthen the capacity of human rights organisations to protect minority rights and to promote and defend diversity in South Asia’. It would again be useful to find if this was supported by the Canadian government, and whether this project had been launched with the approval of the Sri Lankan government. Interestingly, EQUITAS has recently expressed interest in a training session with regard to human rights, but seems not to want to liaise on this with the former ICES staff who were involved in the previous project, but who were sidelined by the Rama Mani / Bradman Weerakoon combine as well as the new Board of Directors they had appointed (and to which Mr Weerakoon has once more been elevated). Instead EQUITAS seems (surprise, surprise) to have chosen to operate through someone who works for a new Member of Parliament from the UNP National List. My own view is that the shenanigans that had taken place with regard to ICES funds and funding merited careful investigation, but this has not thus far taken place. But surely, given how ICES used its powers to suppress diversity in its ranks, to impose a monolithic establishment perspective, and seemed to have suborned not just the then Canadian High Commissioner, but those working for the Canadian government in Canada too, surely it is time we checked on what precisely is being done with funds intended to benefit our people. These funds were not intended to further the ambitions of Canadian academics or of opposition politicians. Since Canada at least has instituted a parliamentary inquiry to look into such improprieties, we should do something similar, with mechanisms to ensure full financial accountability. Otherwise, all will indeed be disaster, while the votaries of prestige and quick bucks efforts to subvert democracy achieve their ends with sanctimonious glee.